We tried our best to kill the sights, but they quietly refused to die and in fact, came through with only some scratches to show for it. 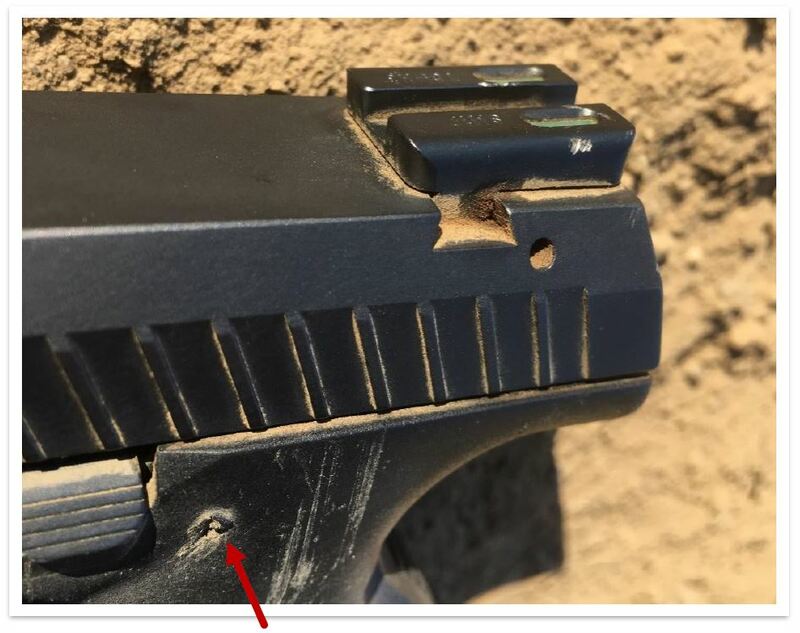 Fiber optic (FO) sights are the most fragile of all pistol sights, but TruGlo's FO sights are all but invincible - we frisbee'd the host pistol across gravel, multiple times, and the TruGlo TFX Pro sights were superficially scratched but otherwise unscathed. Not only that, they combine tritium with fiber optics to give both daytime and nighttime illumination, something no other sight on the market can do. 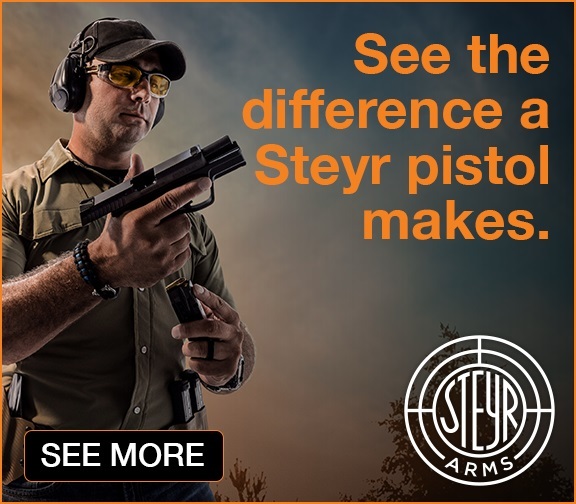 We turned in solid groups with them on a Steyr L9, so they're not just versatile - they're pretty accurate, too. The only problem is price, since they're some of the most expensive sights on the market. If you can afford them, though, we regard the TruGlo TFX and TFX Pro pistol sights as some of the finest available for anyday carry. The TFX Pro sights represent the top end of TruGlo’s pistol sight lineup. At lower price points, TruGlo makes a range of more standard fiber optic sights and tritium-illuminated sights in various colors and configurations, competing with many other manufacturers that make similar products. 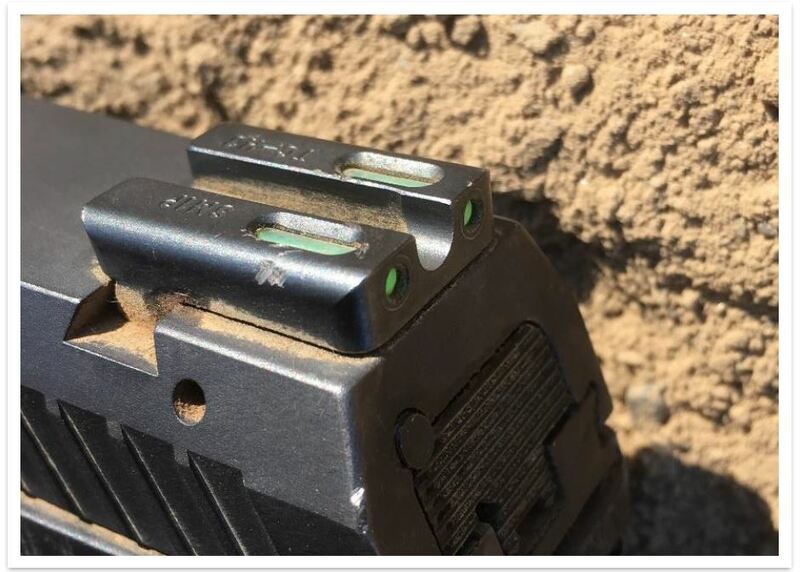 Step up a bit in price, though, and you get the TFO sights – these combine tritium and fiber optics into one unit to allow illuminated sights in any lighting, day or night, and TruGlo is the only company to market to do this. The TFO sights are a little bit less well-protected than the TFX and TFX Pro sights, and are available for fewer models. The TFX sights represent an additional cost increase over the TFO sights and are geared toward “fighting” guns, as they feature more elaborate protection of the tritium and fiber elements, a white circle to distinguish the front from the rear dots, and they also ditch the TFO’s ramped rear sight to permit easier one-handed slide racking on belts or equipment. Finally, the TFX Pro line builds even further on the TFX line, adding a hooked ledge to the rear sight for guaranteed grip when one-handed racking, a U-shaped rear sight notch rather than a square notch (which some prefer), and an orange circle surrounding the front sight rather than a white one. A small increase in price usually separates the TFXs from the TFX Pros, depending on the exact model of handgun. There is supposed to be a red fiber optic rod here - the front sight lost it almost immediately. 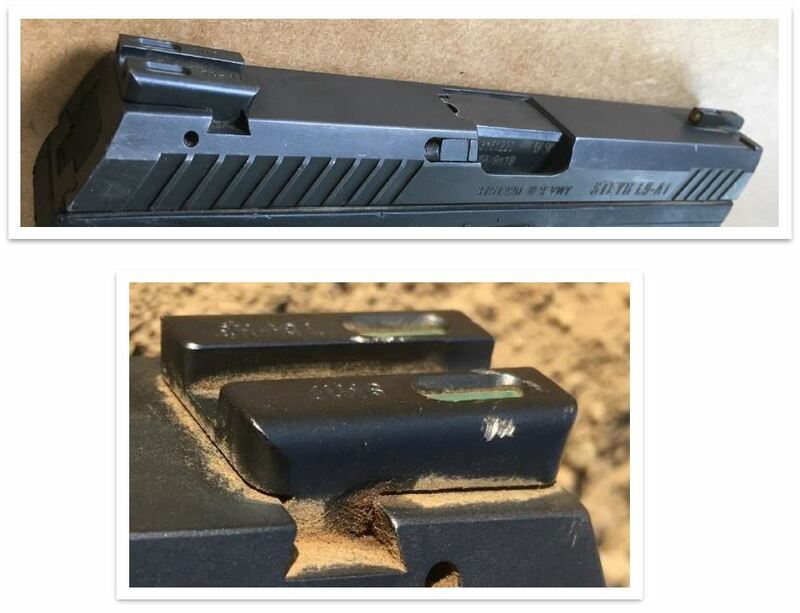 The “skeletonized” design of the metal shroud that protects most fiber optic sights is intended to allow the fiber optic element to absorb as much light as possible, resulting in a brighter sight for the shooter. However, the more the sight is exposed, the less protected it is, and that’s exactly what brought down the shotgun sight shown here (it’s now been replaced with a simple brass bead – dirt simple but tough as nails). 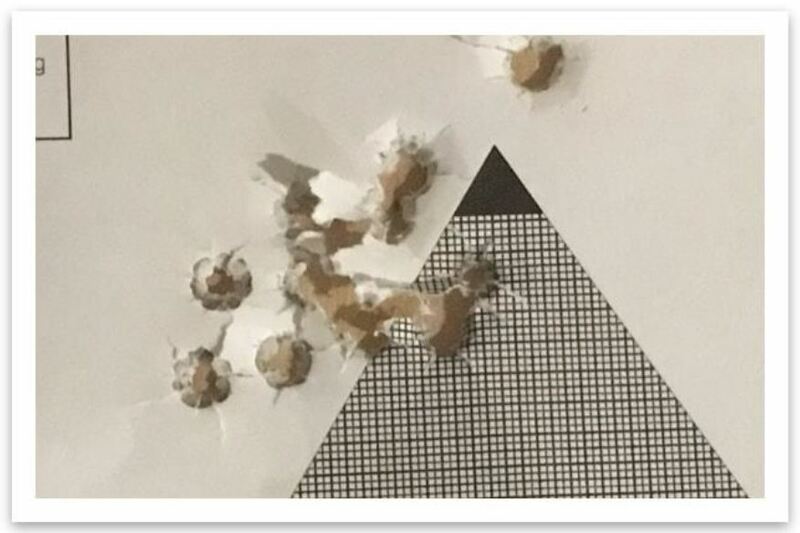 Expect groups like these when standing and casually plinking at 10 meters with a good pistol (a Steyr L9 [review] was used here) and TFX Pro sights - you can get most of the holes to touch. Grit your teeth and focus, and you can get rid of the flyers shown here. Target shown is the CHCOF Stage 1. The TruGlo TFX Pro handgun sights are tough, bright, and accurate. 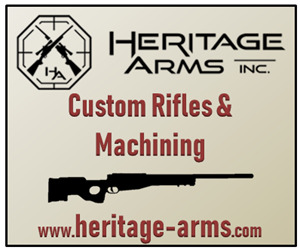 They are not adjustable like target sights, but adding adjustability would likely hamper their stellar durability. 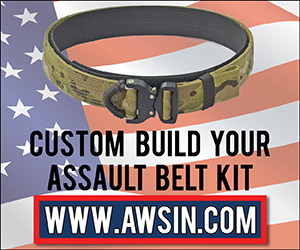 Instead, they aim to be some of the best anyday carry sights you could ask for – day or night. Their only downside is the pricetag, which is pretty hefty. For common marques like a Glock, you can get away for just over three figures. Less common fits, like Steyrs and CZs, will often rock you back $150 to $175, plus installation. Whether or not the squeeze is worth the juice is up to you, but if you’re looking to set up a pistol to be all it can be, it’s hard to do better for sights than the TruGlos.